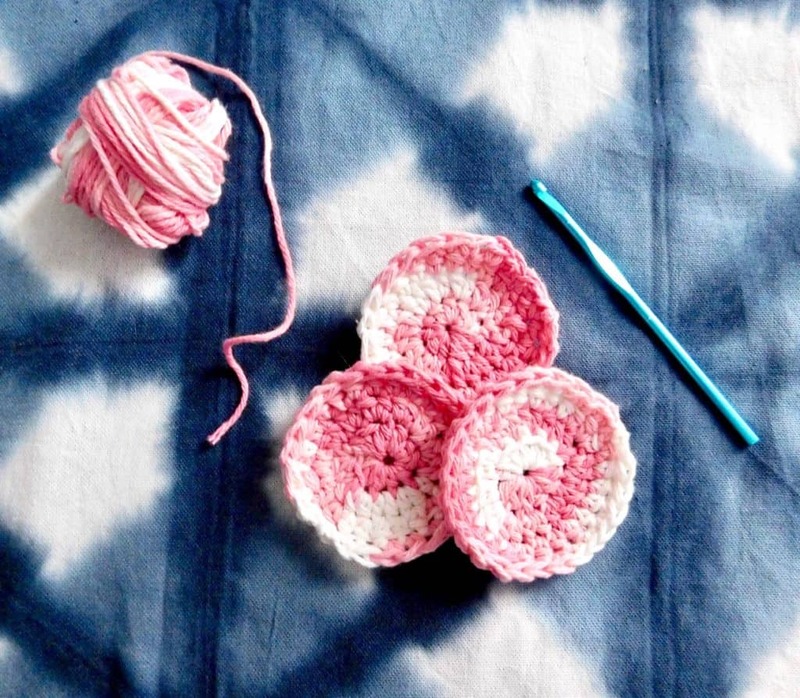 I have a great beginner crochet project for you today. Crochet face scrubbies! These are great to use to wash your face instead of cotton balls, pads or even those disposable cleansing wipes. I used Lily Sugar n’ Cream cotton yarn in Stawberry Ombre and a 5mm hook. 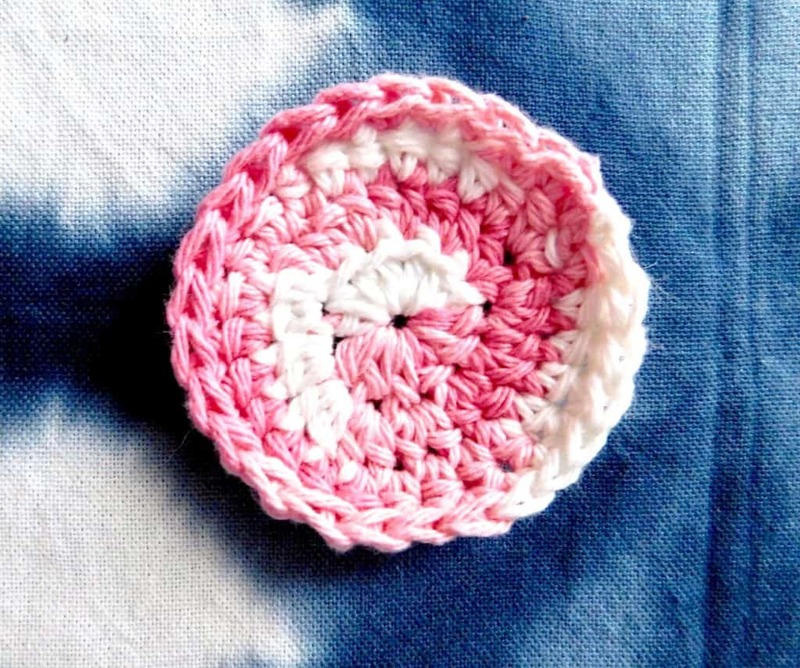 These crochet face scrubbies don’t use very much yarn so you can make them with scraps left over from bigger projects. Just make sure you use 100% cotton yarn. Slip stitch, chain one, and 2 half double crochet into each of the stitches. Once you work your way around connect to the first stitch with a slip stitch, chain one and do two half double crochet into each of the stitches. 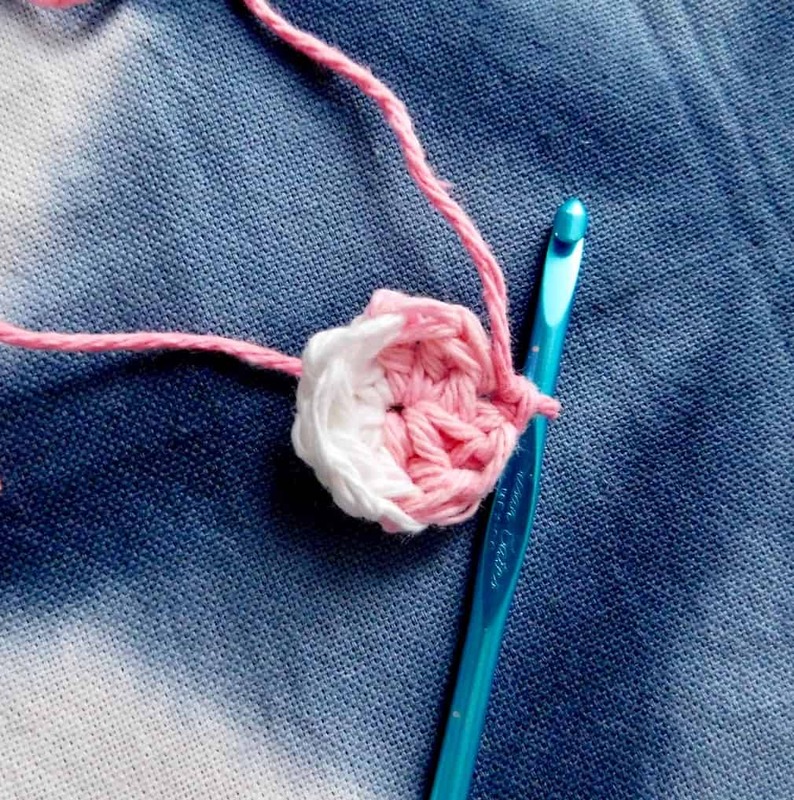 Connect with a slip stitch, chain one and single crochet into each of the stitches to finish off the edge. 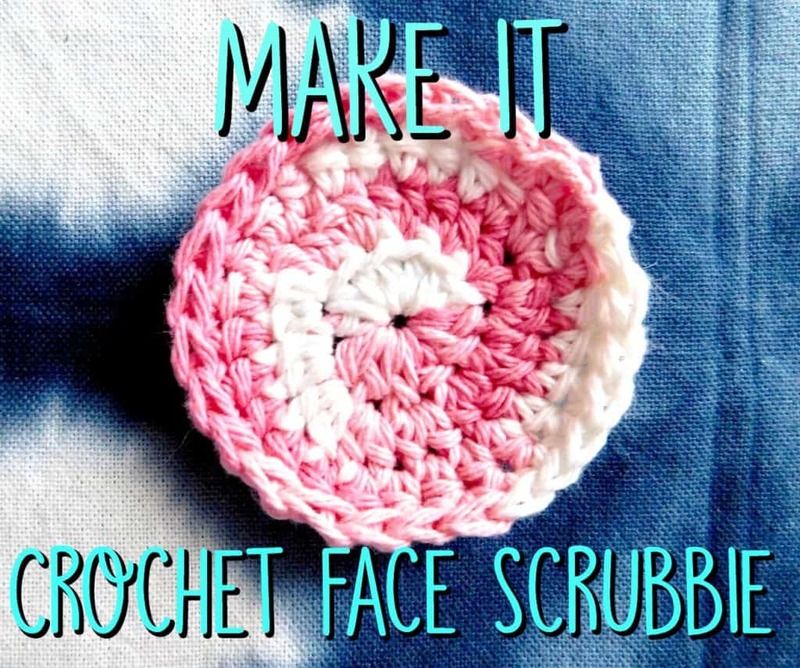 This pattern will make crochet face scrubbies that are approx 3.5 inches in diameter. 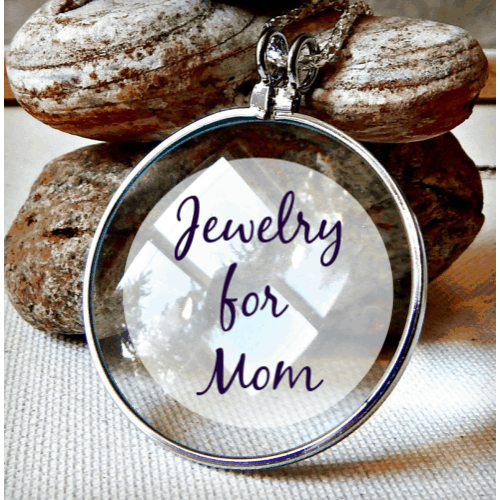 Toss them in your laundry with your regular towels and wash cloths. You can wash and dry them as you would with any cotton fabric. You may want to put them into a mesh laundry bag so that you don’t misplace any in your wash.
You will probably want to use a fresh one everyday so make at least 5-7 so that you always have a clean one on hand when you wash your face.